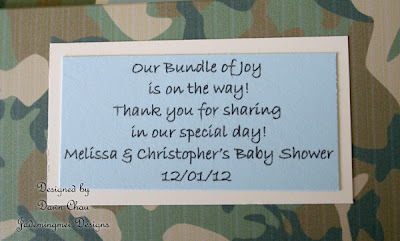 There is a FIRST for everything...including camo for a baby shower! I wasn't sure where on this island I would even find anything 'camo-themed'! 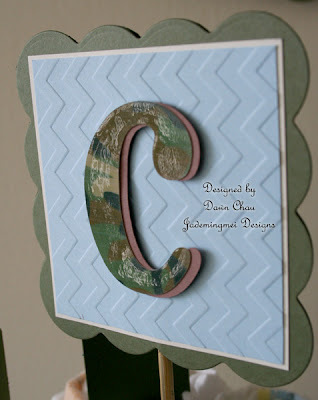 Luckily with a little ingenuity and a great printer, I was able to make my very own camo paper! Sure I could have ordered some, but this custom request needed a quick turn around and it everything came together wonderfully in a very short amount time! Detail shot of the banner. I used my Cricut to cut the letters and a star embossing folder on the bashful blue cardstock. Letters are raised with foam tape and coated with Crystal Effects for a glossy shine...we've talked about this in a prior post where I use 'obscene' amounts of Crystal Effects...LOL! 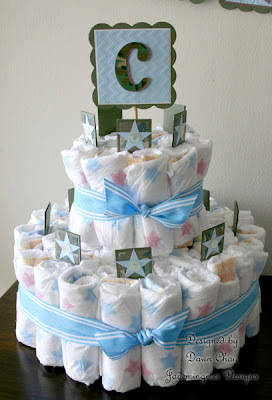 Simple and clean design for the diaper cake! 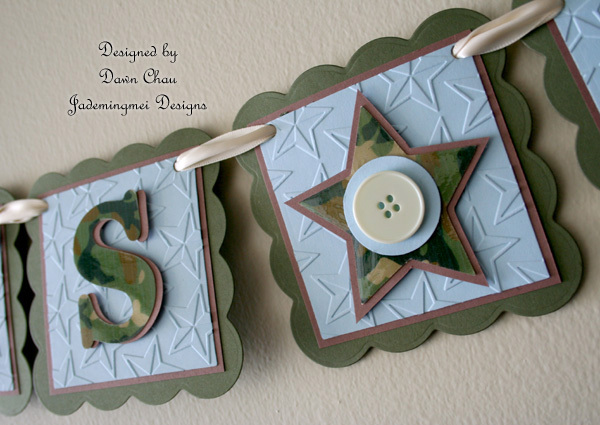 Had the oppurtunity to try out my new chevron embossing folder too. Crystal Effects on the monogram as well. 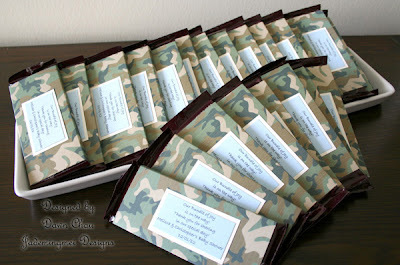 First time for candy bar wrappers too! I printed these wrappers on vintage creme cardstock and score on the 4 edges. The cardstock provided a nice wrapper 'casing' that is very sturdy, more so than traditional, thin wrappers. 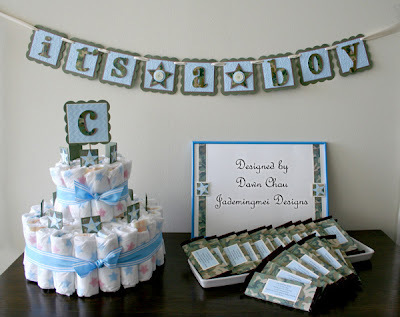 What an exciting way to celebrate a baby on the way! Congrats to Melissa & Christopher.